More of a na-son than a Lawson in the kitchen? Try our two fool-proof recipes below to get your brunch started. Asda have all the ingredients ready to add to basket - all you need to do is have a few practice runs…including the tasting, naturally. Happy brunching! 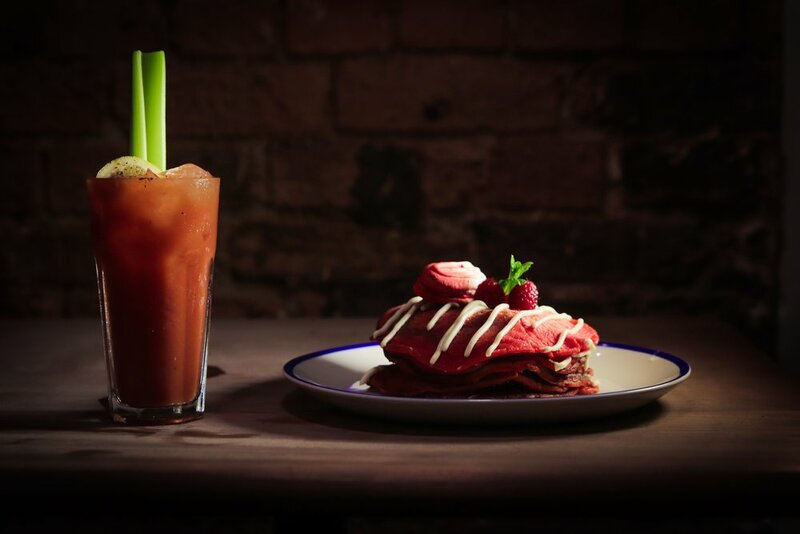 And don’t forget to share your pics with us @bloodybigbrunch #BloodyBigBrunch. 1. In a large bowl, combine flour, sugar, baking powder, bicarb and salt. In a separate bowl, beat together buttermilk, milk, eggs and food dye, melted butter. Keep the two mixtures separate until you are ready to cook. 3. Pour the wet mixture into the dry mixture, using a wooden spoon or fork to blend. Stir until it’s just blended together. Do not over-stir! Pour (with ladle or squeezy dispenser) the batter in to the pan & wait for the edges to colour. Brown on both sides and serve hot. 1. Chop up roughly half a stalk of celery into small chunks. Place at the bottom of a tall glass with some salt and pepper. Crush this up to release the flavour. 2. Add ice cubes – about half way up the glass. 3. Pour in the vodka, lemon juice, Worcestershire sauce, Tabasco and tomato juice. Stir well, ensuring the celery is mixed in. 4. Adjust the seasoning to taste and garnish with a stalk of celery. Get creative with your Bloody Mary. Add a splash of port or Guinness for some depth. Another great tip is to use celery salt, which adds to the overall flavour. For those who crave the more exotic, make yours a Thai Tom yum Bloody Mary. To do this, add 160g of Tom Yum paste, along with 60ml of fish sauce to the classic recipe.